The MacBook update that was leaked over the weekend has gone official, with the UK Apple store offering the latest laptop for £849. 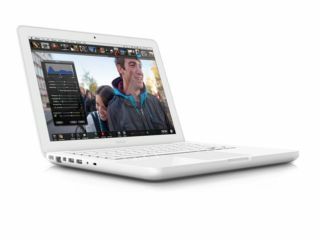 The new entry level MacBook features a 2.4GhzIntel Core 2 Duo, 2GB DDR3 RAM and 250 GB of storage. The MacBook – which is priced at £150 less than the 13 inch MacBook Pro, also boasts an extended 10 hour battery life, a significant increase on its predecessor. "The new graphics chipset has a powerful discrete GPU that can intelligently take over graphics processing when required, but power down to save battery life when not. "For just £33 more than the previous model that's not a bad deal in my book." The new MacBook offers Nvidia GeForce 320M graphics, is 274 mm thick and weighs in at a shade over 2.1KG. You can of course increase the specifications, with the upgrades including the opportunity to ramp things up with 4GB RAM and a 500GB hard-drive. So, if Macs are your thing, and you are in the market for a new one, then this one has a UK release date of right now at http://store.apple.com/uk/browse/home/shop_mac/family/macbook .